As you probably know, some other Christian traditions do not believe in infant baptism.The Catholic Church has alwaysheld that the faith is a free gift givenby God toany who are open to receiving it. We believe that the gift of faith is given through the family. 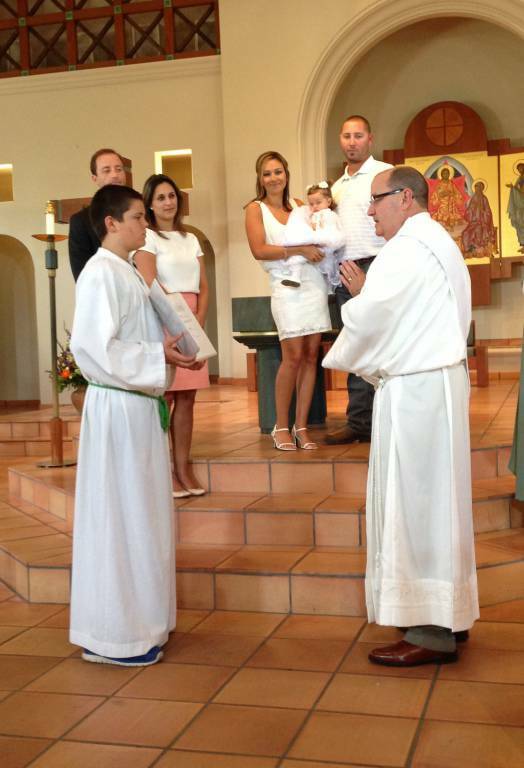 It is important, therefore, that you understand that, in presenting your child for baptism, you are accepting the responsibility of raising your child in the Catholic faith. We do not baptize children unless there is reason to believe that the child will be brought up in the Catholic Church. (CIC 868 2) If the parents of the child are not living according to the faith, for example if they are not part of a parish and do not attend Sunday Mass or are married outside the Church, then there is probably no founded reason to believe the child will be brought up in the faith. Canon Law requires that the parents and sponsors be instructed on the meaning of the sacrament and the obligations attached to it. (CIC 851 2) Therefore, parents and sponsors are required to attend our training program or are required to provide certification that they have completed a program at another parish. Please consult the Parish Bulletin for numbers and whom to call to arrange for classes and set a date for the baptism. It is good for the parents and sponsors to attend the same classes if possible. As a rule, an infant is to be baptized in the church of the parents unless just cause suggests otherwise. (CIC 857 2) In addition, the pastor of the child (the pastor of the church of the parents) has responsibility for the child. 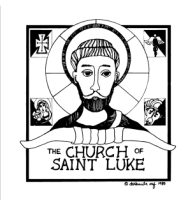 (CIC 519 & 530) If St. Luke is not your parish, you must obtain the permission of your pastor to have your child baptized here. Your pastor is the pastor of the parish whose geographic boundaries you live within or the pastor of the parish where you attend Mass on Sundays. It is normally expected that you be a registered member of the parish if you do not live within its geographic boundaries. The Church’s sacraments are public and should be celebrated publicly. At St. Luke we normally celebrate group baptisms on the third Sunday of the month, after the 11:30 am Mass. Alternatively we may allow baptism at a regularly scheduled Sunday Mass for parishioners who regularly attend Mass here or for their grandchildren. We do not schedule private baptisms unless there is a serious pastoral reason. We want to help you live the faith and raise your child in the faith. If you are serious about the faith but believe the parameters listed above may prohibit you from baptizing your child, talk to us anyway. We will do our best to help you resolve the difficulties.